Women at risk of pre-eclampsia are being advised by clinicians at the Royal Women’s Hospital to take low-dose aspirin to reduce their risk of developing the condition. Pre-eclampsia affects one in 20 pregnancies and is a leading cause of health complications for pregnant women and their babies. However, awareness of the illness is low, prompting clinicians and women who have suffered from pre-eclampsia to establish the first World Pre-eclampsia Day this year on 22 May. The Women’s Director of Maternal-Fetal Medicine, Professor Shaun Brennecke, said current evidence of the benefit of low-dose aspirin is persuasive, but clinicians globally were awaiting the outcome of a large European study to confirm its benefit in preventing pre-eclampsia. “We know low-dose aspirin is safe for most pregnant women and that studies to date suggest it has a benefit,” he said. “Our research at the Women’s has found that low-dose aspirin in the laboratory changes the way placental cells function, correcting the production of proteins that are associated with pre-eclampsia. Pre-eclampsia is diagnosed by a rise in blood pressure and excess protein in the urine after 20 weeks of pregnancy. It can be a very serious health risk for both mother and baby and the only effective treatment once a woman develops the condition, is to deliver the baby. This often means that babies need to be delivered pre-term, which can lead to significant health problems for the baby. Emma Wells was 29 weeks pregnant with her first baby when she realised her baby had stopped moving. She went to the Women’s and was tragically told that her baby had died. She had mildly high blood pressure, but there were no symptoms for doctors to suspect pre-eclampsia. “I was induced and after 16 hours, I gave birth to my boy Max,” she said. “Almost immediately after he came I couldn’t breathe, my vision blurred. My liver and kidneys were shutting down.” Emma was rushed to intensive care. Max’s death and Emma’s medical emergency were caused by pre-eclampsia. 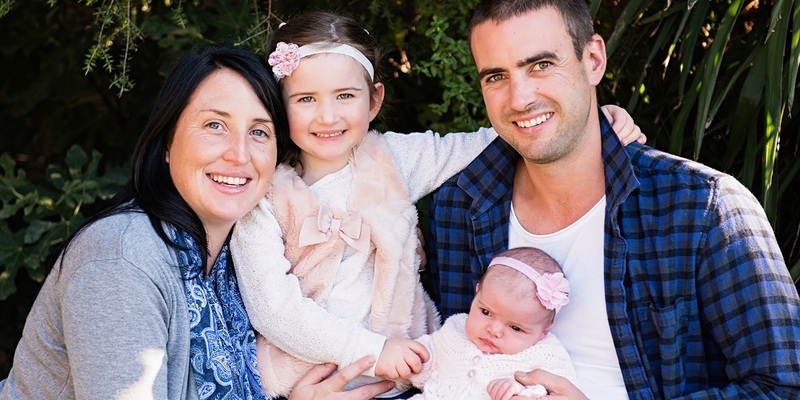 Having experienced pre-eclampsia, Emma was at higher risk of having the condition again in future pregnancies. But for her next two pregnancies she was referred to Professor Brennecke who prescribed low-dose aspirin in the first trimester. She gave birth at full term to two healthy girls. The most recent, Ava, arrived last month. In her latest pregnancy she benefited from a new test that could accurately predict late in a pregnancy which whether or not she would go on to develop pre-eclampsia. “It was so reassuring to have that test and to find out that I wasn’t going to develop pre-eclampsia,” Emma said. 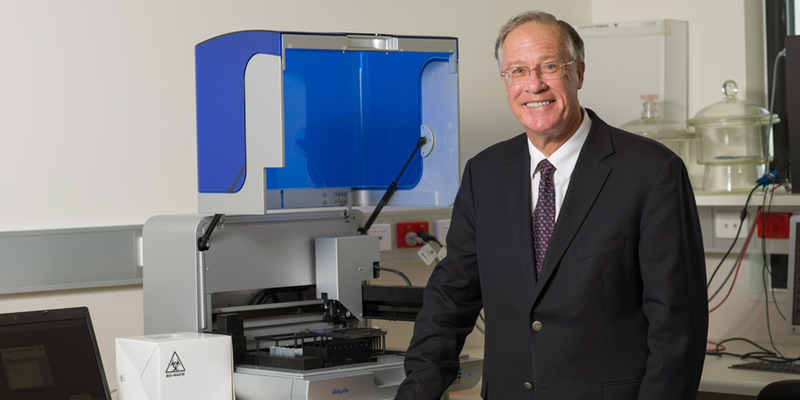 Prof Brennecke last year was the Australian lead in a trial that assessed the new blood test that Emma was offered. However, it is believed for low-dose aspirin to have a benefit, those at risk need to be identified much earlier and start taking the medication early in their pregnancy. “The ASPRE study is assessing whether those at risk of pre-eclampsia can be identified as early as 12 weeks gestation and is testing whether low-dose aspirin is beneficial in preventing those women from developing pre-eclampsia. We are looking forward to the outcome of this definitive research which is due to be published in the coming months,” Prof Brennecke said. While Prof Brennecke is very hopeful about the future of being able to predict and prevent pre-eclampsia, Dr Fiona Brownfoot from the Mercy Hospital and University of Melbourne is working on new treatments for this condition. Earlier this year, she and her co-workers published results from laboratory studies and research in animals showing that Nexium, a drug used to treat reflux, could block placental cells from releasing the proteins that cause pre-eclampsia. Trials are underway to see if the benefit translates to humans. Doctors are recommending low dose aspirin of 100 – 150 mg daily, taken at night. Women are advised to seek specialist advice before taking aspirin when pregnancy. Assoc Prof Joanne Said, who is involved in international trials testing new therapies for pre-eclampsia, from Sunshine Hospital and the University of Melbourne. Prof Shaun Brennecke from the Royal Women’s Hospital and the University of Melbourne. The seminar was sponsored by Australian Action on Pre-eclampsia, a voluntary organisation set up to provide support and information for families affected by pre-eclampsia.